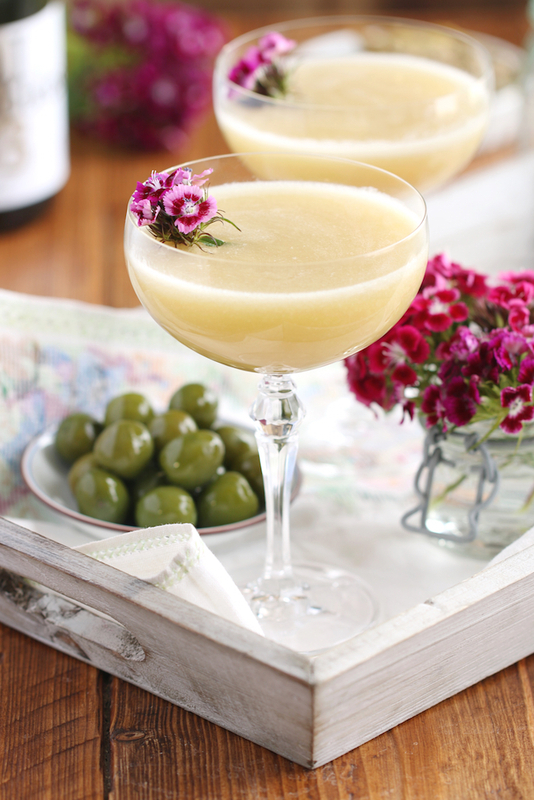 Is there a better drink to celebrate the beginning of summer than a Bellini? 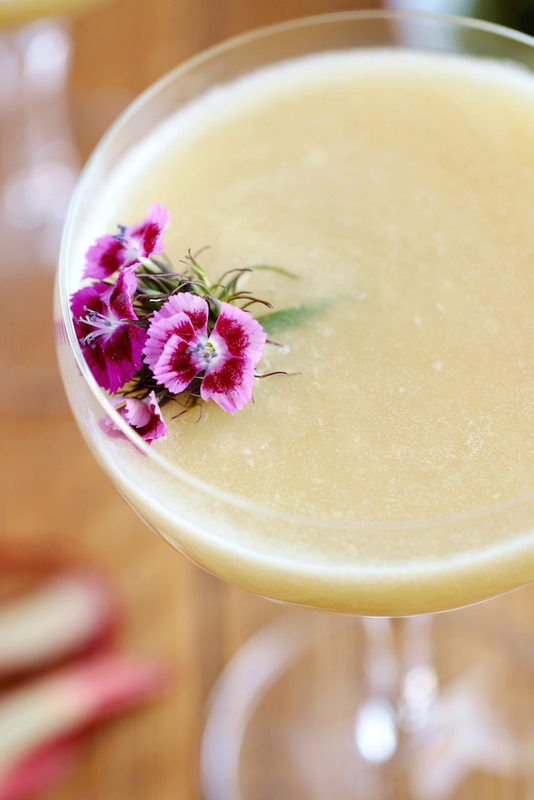 The ‘Rhubarb Bellini’ is a simple and delicious twist on an old classic. 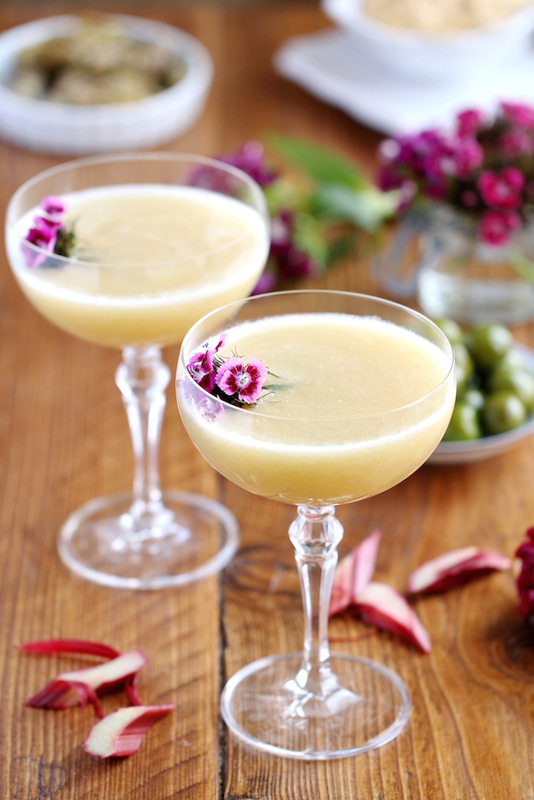 It will surely impress your guests as rhubarb has the status of an intriguing vegetable and is gaining widely in popularity as a cocktail ingredient! Bellinis vary widely in taste and consistency: I have come across strawberry (a Rossini – a classic too), roasted blackberry and even pumpkin (at Duck&Waffle London). Consistency wise: some establishments will serve it just with some schnapps others with lots of fruit pulp – almost like a naughty smoothie! – the latter being my favourite. The best Bellini I have ever tried is without doubt the one on the terrace of the Baur au Lac in Zurich (now famous as the place where FIFA officials are arrested). Having visited Venice last May, the birthplace of this Prosecco based cocktail, we felt obliged to sample an unhealthy quantity of this moreish drink. Could anywhere be more suitably atmospheric than the sunny terrace of the famous The Gritti Palace? We had been warned by staff that it was not yet peach season, so we opted for a Rossini. Luckily, we managed to curb this alcoholic extravagance in time for dinner, as we would have missed out on the finest dining experience that I’ve ever had in that historic water bound principality! Ai Do Farai is a small Osteria that looks like a football supporters pub but offers a quality of food that is all too rare in this tourist mecca. Make sure to order the ‘Branzino Carpaccio’ marinated in Prosecco which manager Stefano will prepare at your table with theatrical flourish, or the special ‘Sgropino’ – a digestive drink with lemon sorbet, vodka, Prosecco and milk. Simply divine! In case you are curious to find out about the health benefits of rhubarb, read about it in my last post: ‘Spiced Rhubarb & Strawberry Breakfast Parfait’. Trim the rhubarb and cut into small pieces. Add the rhubarb and the maple syrup to a saucepan and heat gently until soft (10-15min). Blend until smooth in texture and let cool down for an hour (you can invert those two steps). 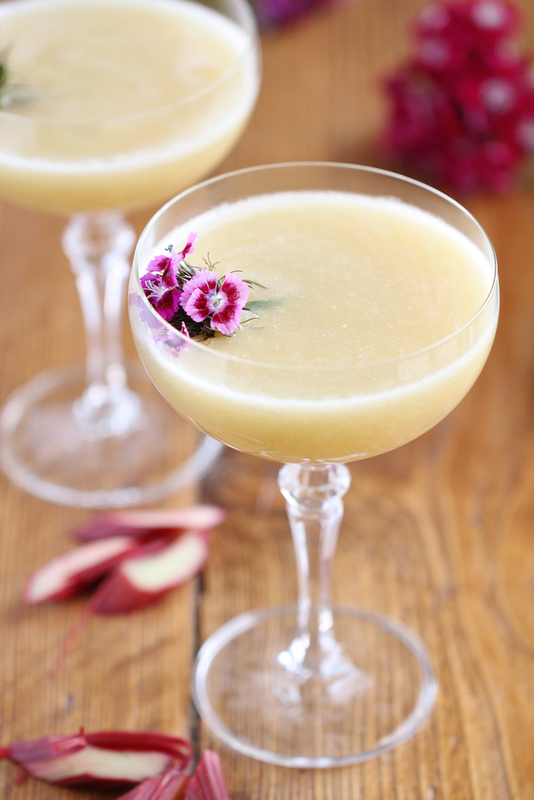 …messy: Add 1-2tbsp of rhubarb purée (I use about 1.5tbsp) per glass and top of slowly with Prosecco. Be careful as it will foam a lot, you might prefer to make it in a few steps. …or clean: Add 1-2tbsp of rhubarb purée per glass and the respective amount of Prosecco into a jug (you can do a few glasses at the time). Stir gently until well combined. Pour into the glasses. 5. Optionally decorate with a flower for visual appeal. Add strawberries! Exchange half of the rhubarb with the same weight of strawberries. Make it a treat and bring along a party! Make it alcohol free! Exchange Prosecco with apple juice and sparkling water. This entry was posted in Drink, Food, Food Photography, Food Styling, Recipes and tagged drinks, indulgence, photography, restaurant, treats, vegan, vegetarian by Françoise La Prune. Bookmark the permalink. Such pretty glasses – and photography! Thanks for the likes on Crichton’s Co-Op. Looking forward to exploring your blog. Thank you for sharing this Rhubarb recipe. I have a huge rhubarb crown in one of my raised beds so I am constantly on the lookout for new ways to make use of it and this one sounds both easy and delicious. And just my happenstance I have both maple syrup and a bottle of champagne. Ahhhh fantastic!!! I love to find recipes and having already all ingredients at home!!! I sooo envy you for your rhubarb though! They must taste phenomenal! :-p Did you see my ‘Spiced Rhubarb and Strawberry Breakfast Parfait’? That could be another great way of ‘getting rid’ of your abundance of rhubarb! 😉 Let me now how it came out! 😉 Happy weekend to you! What a great idea. I.have some rhubarb ready to try that Bellini! My uncle just gave me rhubarb jam already made. Since I am not a jam person, I will try it for sure! You are so right I need to go back! Plus I have a cookbook project there…so need to spend some time with my friend over there! Great decoration with the beautiful flower. I’m totally honest in my comments Françoise! I shall look out for the rhubarb recipe ! I have to say our little plant is looking very sorry for itself and not getting much bigger at the moment – I cross my fingers for improvement soon!